Will Rivka and her dragon be able to save the prince’s boyfriend? The prince smiled slightly. 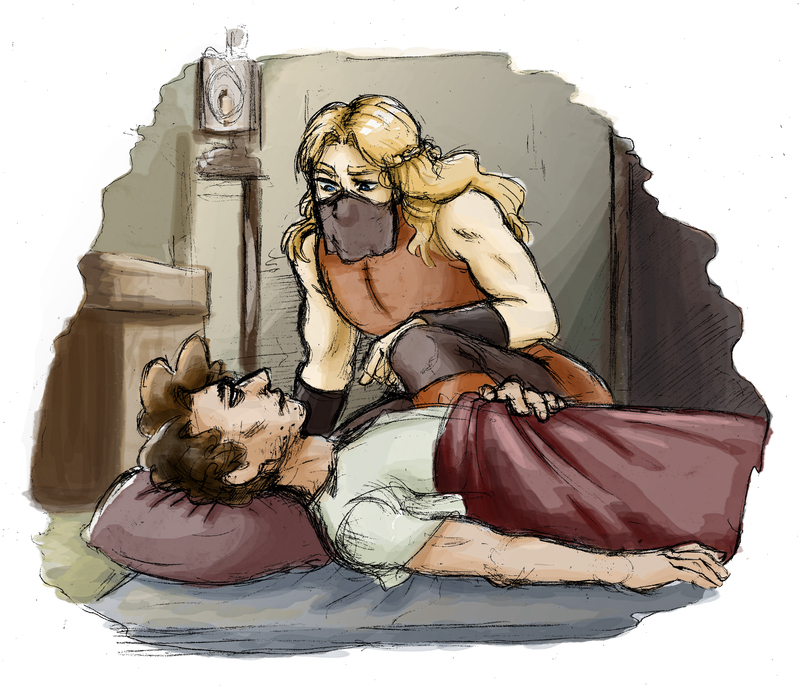 “Save him…” Then he started to faint again. Come along for the ride in Climbing the Date Palm, the sequel to The Second Mango. Labor rights, shapeshifters, and more baklava than you could eat in a week! This entry was posted in Mangoverse and tagged bi, bisexual, books, fairy tales, fantasy, fantasy lit, gay, heroes, m/m, m/m romance, muscular women, queer, shounen ai, slash, strong women, warrior, warrior women, young adult, young adult fiction. Bookmark the permalink. 3 Responses to Will Rivka and her dragon be able to save the prince’s boyfriend? Also, seeing more art makes it more difficult to wait for my boooooks…which didn’t come yet because Canada I assume. Well that would be okay! Still though, I’m excited! I will save having a Shula about their whereabouts after maybe a month.